The IBM Learning Center, also referred to the as ILC, defines modern functionality, technology, and beauty, making it the ideal business destination for training, learning, or any type of corporate event. At the ILC, there are no competing customers or distractions. Simply the freedom to focus on your event in ideal conditions. The IBM Learning Center offers 15,000 square feet dedicated IACC Certified meeting space, including a state-of-the-art auditorium, multiple meeting rooms and breakout rooms, recreational space, a fitness center with an indoor basketball court, four outdoor tennis courts, and 182 comfortably appointed queen deluxe guest rooms, each offering a haven of relaxation and productivity with scenic views. At the IBM Learning Center, we understand that some of the best ideas emerge outside the meeting room. Part of our commitment to innovation is providing many opportunities to relax. We offer several team building and fitness related group programs that enable you to make the most of your time. 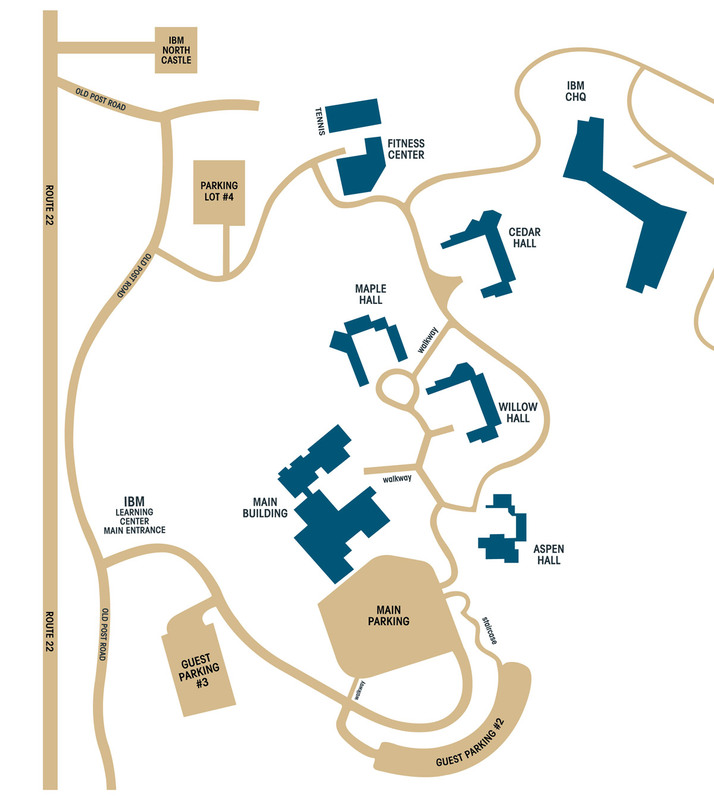 Our campus map shows the key buildings on the IBM Learning Center campus, from our meeting facilities to our leisure and recreational areas. Download it on your phone or print out a copy to ensure that finding your way around campus is easy. Discover how we use fresh and authentic ingredients to make delectable meals from scratch.